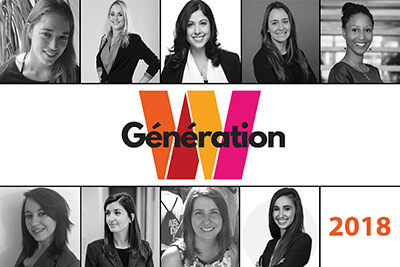 The Soirée InspirationnELLE is a cocktail gala to honour young women for their leadership, career success, and commitment to their respective professional communities. The event opens with a networking cocktail reception—where young professionals are invited to mingle with our inspiring laureates and special guest “mentors”—followed by the official awards ceremony. Do you know a young woman who deserves recognition for her commitment, achievements, and leadership? Be sure to nominate her! We will be accepting nominations until July 8th, 2018. Would you like to partner with us to help build a brighter future for women and girls? Contact us. The Generation W Committee thanks you for your donation. Follow the Facebook page of Génération W.